Grasys is the leading designer, producer and EPCM contractor in the field of air and gas separation in CIS and Eastern Europe. The priority tasks of Grasys are achievement of high quality of manufacture, continuous technological development and scientific research enabling production of technologically intensive up-to-date equipment and fulfilment of major integrated projects with maximum economic efficiency for the customer. Today, Grasys has implemented more than 1000 projects for 540 enterprises of petroleum, petrochemical, chemical, energy, coal, metallurgy, construction, food processing and other industries. The company has the industry leading specialists on its staff – graduates of the best national engineering and economic universities and colleges, candidates and doctors of science. Grasys specialists relying on their unique experience and knowledge develop cutting-edge solutions and acheive strong performance, maintaining sustained dynamic development of the company over more than 17 years. The continuous scientific research in the field of membrane and adsorption air and gas separation technologies enables development and implementation of new solutions furthering development both of science and industrial enterprises. Grasys has all necessary permits and certificates required for its business activities. The Quality Management System of the Company complies with the international standards ISO 9001:2015. Grasys is the only company in the air and gas separation industry of Russia which has the quality management system certified to the standards of American Petroleum Institute API Spec Q1. 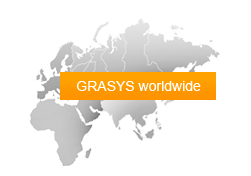 Grasys produces the equipment meeting the ASME, CE standards, as well as corporate standards of such companies as TOTAL, Gazprom and Shell; develops and issues documentation in accordance with the accepted international standards for EPCM contracts. Products of the RPC Grasys comply with the EC Machinery Directive 2006/42/EC as confirmed by the Certificate issued by the relevant certifying authority TUV SUD Product Service Gmbh. The European quality (СЕ) certificate affirms that the product is safe to people's health and property, and environmentally friendly. Over its more than 17-year operating activity, Grasys has accumulated the unique experience of implementing various complexity projects unmatched by domestic and foreign companies. Regular customers utilizing Grasys gas separation equipment are the Russian and foreign majors — Shell, Eni, Enel, ConocoPhillips, ExxonMobil, Gazprom, Rosneft, TNK-BP, Lukoil, Surgutneftegaz, NOVATEK, RITEK, Tatneft, Slavneft, Sibur, Salym Petroleum Development, Procter & Gamble, Solvalub, TWEL, Mars, Pepsi, Lays etc. Grasys nitrogen equipment is being successfully operated in the fields and at the GTS run by Gazprom, on the Nord Stream gas pipeline. Nitrogen generators and oxygen generators have been brought on-stream in the Russia’s strategic facility, Vancor field. Grasys equipment is being operated at Lukoil crucial facilities, including its off-shore platforms in the Korchagin field and the Arctic oil terminal Varandei, at Sibur petrochemical facilities etc. 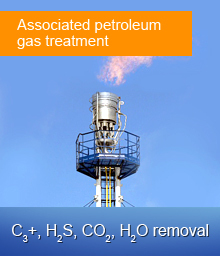 Over the years of its successful activities, Grasys has acquired the unique experience in producing various air separation plants: nitrogen plants, oxygen plants, nitrogen generators, oxygen generators, mobile nitrogen stations, PSA generators, gas separation unit for portable nitrogen compressor stations, nitrogen fire fighting plants successfully operated by all types of enterprises. 7 November 2018 Corporate life in JSC “Grasys"